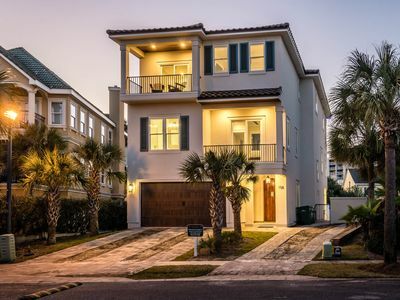 Luxurious Gulf-Front 3 BR/3 BA.Best views and value, new updated look!!!! Newly Painted, updated almost completely.New furniture and Décor !!!!!! Welcome to Heaven on Earth !! 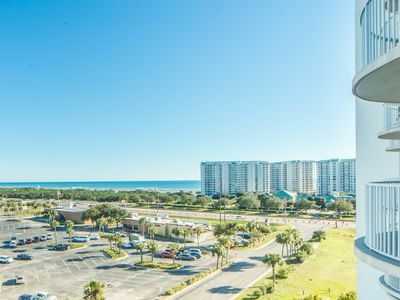 !Located in Jade East Towers, Mid-Destin, Panhandle Destin Area, Florida, USA (center of Destin, across street from Big Kahuna's Water Park and within walking distance to shopping, restaurants, and more). 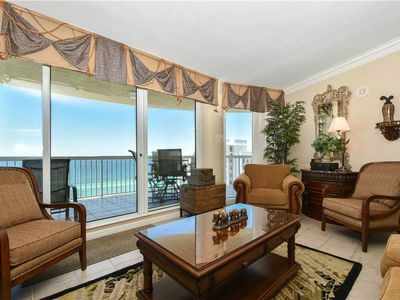 This 1 million condo is like nothing you have seen before. 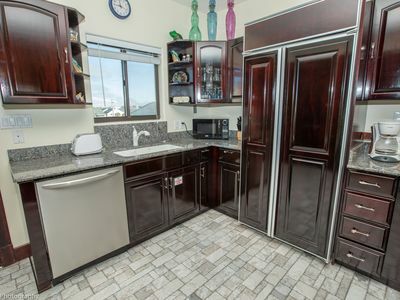 This unit is directly on the beach. No streets to cross. just few feet from the white sands!!! 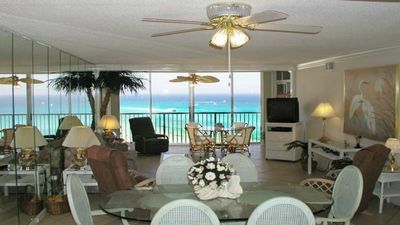 It combines everything you need when you go to Destin; great views from the living room and the master bed room, when you step into the condo the first thing you ll see is the beach, the unit is well decorated and maintained, the location of the unit is at the corner of Jade East towers where you can enjoy a fabulous view from the living room that has a floor to ceiling glass wall!! 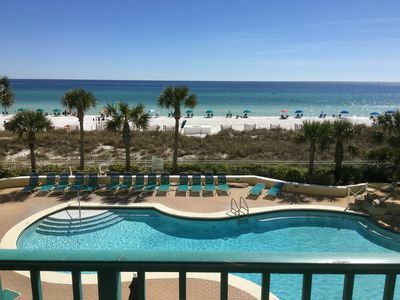 The condo is in mid Destin where all the activities you want, you are at walking distance from a lot of nice thing,The big Kahuna water park for the family,The great restaurants of Destin and even the famous AJ club if you are into night life. 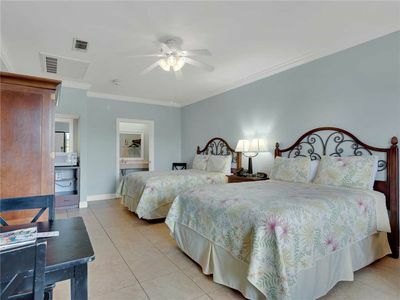 You feel secure with a gated community and a gated beach entrance and swimming pool,The Jacuzzi is fabulous. Best of all this unit has the best view of the whole building, U do not only see the beach directly from the Ceiling to Floor windows in the living room and the master bed room but you also see the swimming pool with the fall as well as the Jacuzzi so you can keep an eye on the kids while playing and swimming.Now we also offer cheaper rates than anyone else, we have a free beach service, a free high speed wireless internet service and we accept major credit cards. You even have Playstation 3 console and unlimited movies watching through netflix .Imagine this :you can watch movies free and play your favorite games on 50 inch big screen TV while enjoying the view and the sound of the clean water . The calendar is alway uptodate and you can always book online. 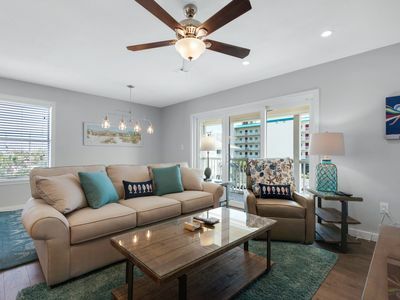 On top of all the above we are unique among VRBO owners that we have a local onsite manager who will very hard to make your stay as enjoyable and as comfortable as possible. So after all of this what r you waiting for ?! you know that you worked hard to get your vacation and you deserve to be treated well !!!!. Book with confidence and please check my reviews!!! 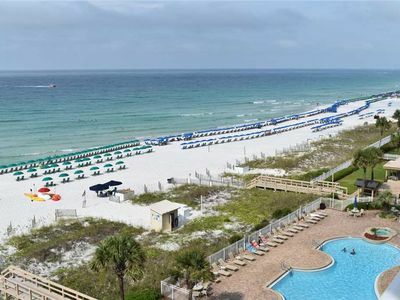 Accommodation is a high-rise condominium with three bedrooms and convertible bed, three baths, and sleeps six to eight very comfortably. 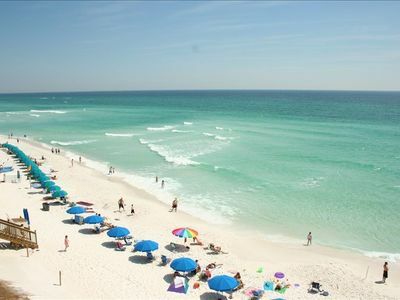 Free beach service (1 umbrella and 2 chairs) included (Mar1-Nov1) and free wireless internet available. Our beautiful condominium provides you with 1622 square feet of spacious luxury in breathtaking setting. 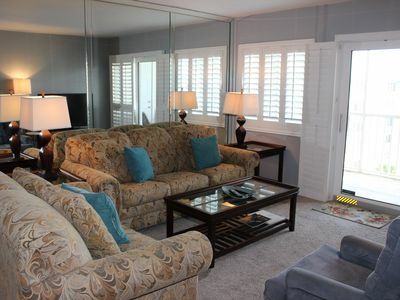 Includes king-size and queen-size suite, twin suite, and queen-size sofa bed in the living room. Enjoy a relaxing evening in the living room of this third floor, west-end unit. 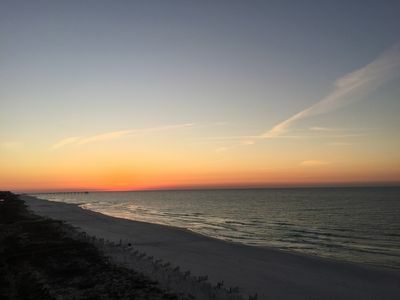 Looks out to the gulf with side windows toward the sunset. Overlooks the lighted oasis pool and waterfall - easy to see the family down below. Convenient on the west end of building where it is only one flight down to the parking lot with access to the outdoor kitchen/ grill and access to the pool - talk about convenience! What better way to spend your vacation! The décor offers tasteful, bright, and cheery colors, with a tropical theme to uplift your spirits. 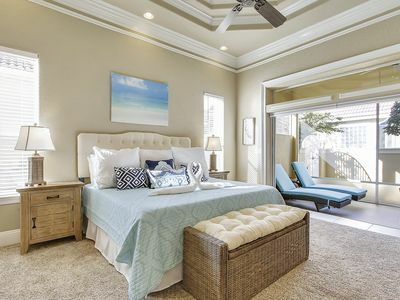 Floor-to-ceiling window walls are featured in the king-size master suite and living room. 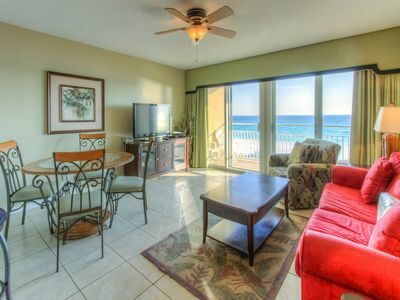 Sliding glass doors make you feel right on the beach! 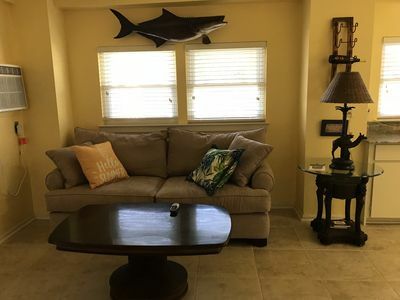 Every room has Flat screen TV and DVD player.There s also a play station 3 console that you can play your favorite games on the big 50 inch screen TV and enjoy unlimited movie streaming through Netflix. We keep updating our unit. Now the living room furnitures have been changed to very comfortable, high end ones. All the mattresses are upgraded to thick Foam ones. The sheets are updated as well. Booking is preferred for one week (Saturday to Saturday) especially in the high season because of the high demand, however many times we can accommodate a shorter stay for your convenience. Bring Your Family to the Beach! Hotel is Steps from the Beach. 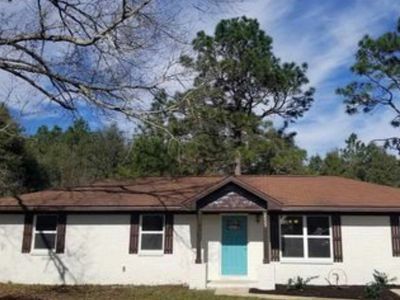 Perfect 2 bedroom home for a family vacation! Cotton Candy! 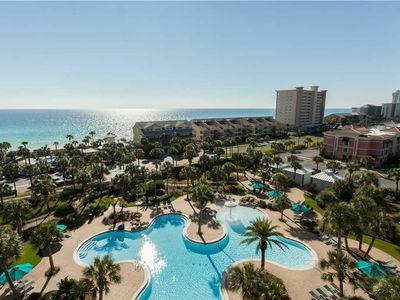 Beautiful condo w/gulf front views! Spacious private Balconies! 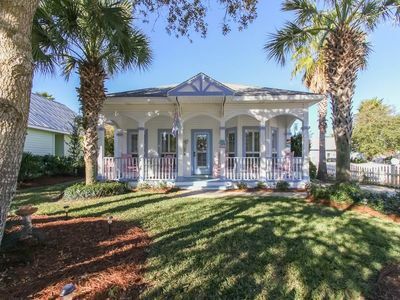 Beachwalk Retreat! EVERYTHING IS BRAND NEW! Awesome Family Home! FREE Golf, Dolphin Cruise & More! Private Heated Pool! Gulf Views! 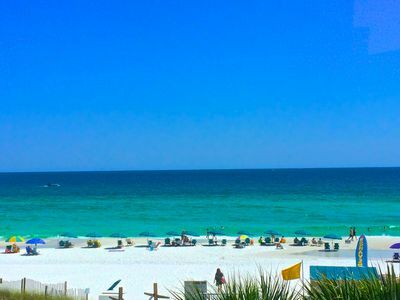 Dunes of Destin! Professionally Decorated! ☀Palms Resort 1808 Jr 2BR☀Lagoon Pool! Tennis- Fun Pass! 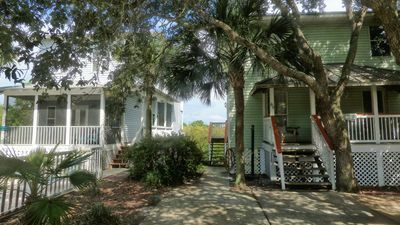 OPEN Apr 21 to 23 $584! Walk to everything! 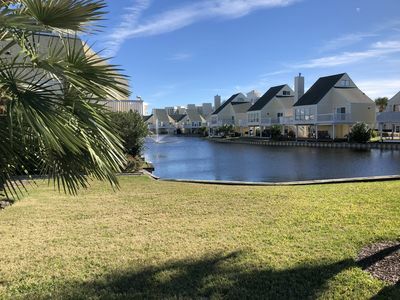 Right in the heart of Destin and Harborwalk.